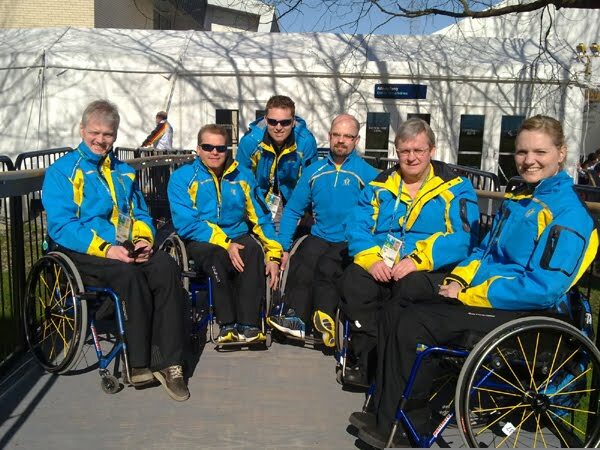 Team Sweden, winners of the bronze medal at the Vancouver Paralympics, are breaking up. "After playing with Glenn Ikonen and Anette Wilhelm for 10 years at international level, the time has come to quit. Anette wants more time for her two young children, and I have still not recovered from last December's spine surgery. "After our silver medal at the 2009 Worlds, we had high hopes for a repeat of the result in Vancouver, or even better. Things where looking really good during the fall, with a new coach (Tomas Nordin) and good results, with a win in Switzerland. "Then I suddenly start losing strength and feeling in my hands, and was rushed to emergency surgery, and was hospitalized in Denver for a month. I returned to the ice only 4 weeks before Vancouver, and 10 weeks practicing without a skip didn’t do the team any good. "We recovered from an 0-3 start to win 7 of the last 9 games and take bronze. Any medal in the Paralympics is big, and we were happy, but there were mixed feelings. This journey includes so much pain and struggle that we all felt pretty exhausted - happy with the result, but definitely not with our performance. "A couple of bronze and a silver in my career is fun, but the highlight of my curling is definitely all the nice people we have met through the years. The spirit and friendship between nations is just exceptional. I’ll miss all Mikaels, Sonjas, Runes and Nadias, and so many, many more." Lead and 2009 sportsmanship award winner Anette Wilhelm added: "It was a difficult and somewhat sad decision to take, but all things come to and end." Jalle has retired before, and is still young enough to make another come-back, though back pain and neurological problems with his hands persists. He would like to return "and show everyone that Sweden can play" but acknowledges his health is not good enough, at least at present. His retirement is a big loss not only to Sweden but to the game internationally. Jalle realised that his job was not just as an athlete, but also an ambassador for the sport. He did not hide himself away as did the Canadians and Scots and many others during the 2009 Worlds where I met him, and was happy to talk wheelchair curling to anyone interested. Team Sweden's future is now in doubt, as would any program that relied on a tiny core group of players year after year. Glenn Ikonen's 6-month suspension for using a banned blood pressure medication, ends September 22nd but he does not have a team. If Sweden do not compete at the Worlds in Prague, three teams will qualify from the upcoming World's Qualifying Tournament.